Acklin, Marvin W. & Wu-Holt, Pamela (1996). Contributions of cognitive science to the Rorschach technique: Cognitive and neuropsychological correlates of the response process. Journal of Personality Assessment, 67, 169-178. Benedik, Emil, Čoderl, Sana, Bon, Jure & Smith, Bruce L. (2013). Differentiation of psychotic from nonpsychotic psychiatric inpatients: The Rorschach Perceptual Thinking Index. Journal of Personality Assessment, 95, 141-148. Biagiarelli M, Roma P, Comparelli A, Andraos MP, Di Pomponio I, Corigliano V, Curto M, Masters GA, Ferracuti S. (2015). Relationship between the Rorschach Perceptual Thinking Index (PTI) and the Positive and Negative Syndrome Scale (PANSS) in psychotic patients: A validity study. Psychiatry Research, 225, 315-321. Birch, Sarah (2014). Why I use the Rorschach in court reports. Your Witness, 29, 37-38. Bornstein, R.F. (2001). Clinical utility of the Rorschach Inkblot Method: reframing the debate. Journal of Personality Assessment, 77, 39-47. Campo, Vera (2009). Variations of Rorschach variables in therapeutic follow-up. Rorschachiana, 30, 101-128. Carstairs, K. (1997). The skull as symbol of death in one man’s Rorschach. Rorschachiana, 22, 179-197. Carstairs, K. (2011). Rorschach assessment of parenting capacity: A case study. Rorschachiana, 32, 91-116. Carstairs, Kari, & Birch, Sarah (2015). Assessing a parent’s capacity to change in psychotherapy: The use of the Rorschach and the MMPI-2. In Bryn Williams, Emma Peart & Roger Young (Eds.) Understanding and assessing a parent’s capacity to change within the timescales of the child. London: Jordan Publishing, (pp. 107-121). Conklin, A., Malone, J., & Fowler, J. (2012). Mentalization and the Rorschach. Rorschachiana, 33, 189-213. Del Giudice, Matthew J. (2010). What might this be? Rediscovering the Rorschach as a tool for personnel selection in organizations. Journal of Personality Assessment, 92, 78-89. Erard, R. E. (2005). What the Rorschach can contribute to child custody and parenting time evaluations. Journal of Child Custody, 2, 119-142. Exner, John E. (2000). A Primer For Rorschach Interpretation. Asheville, North Carolina: Rorschach Workshops. Exner, J.E. (2003). The Rorschach: A Comprehensive System, Vol. 1: Basic Foundations ( 4th ed.). New York: Wiley. Exner, J. E., & Wiley, J. (1977). Some Rorschach data concerning suicide. Journal of Personality Assessment, 41, 339–348. Gacono, C. B. & Barton Evans, F. (Eds.). (2008). The Handbook of Forensic Rorschach Assessment. Mahwah, New Jersey: Lawrence Erlbaum. Gacono, C. B. & Meloy, J. R. (1994). The Rorschach assessment of Aggressive and Psychopathic Personalities. Hillsdale, New Jersey: Lawrence Erlbaum Associates. Hilsenroth, Mark J., Eudell-Simmons, Erin M., DeFife, Jared A. & Charnas, Jocelyn W. (2007). The Rorschach Perceptual-Thinking Index (PTI): An examination of reliability, validity, and diagnostic efficiency. International Journal of Testing, 7, 269-291. Huprich, Steven (Ed.) (2006). Rorschach Assessment of the Personality Disorders. New York: Psychology Press. Johnston, Janet R., Walters, M. G. & Olesen, Nancy W. (2005). Clinical ratings of parenting capacity and Rorschach protocols of custody-disputing parents: An exploratory study. Journal of Child Custody, 2, 159-178. Kleiger, James H. (1999). Disordered thinking and the Rorschach: Theory, research and differential diagnosis. Hillsdale, New Jersey: The Analytic Press. Kleiger, James H. (2015). An open letter to Hermann Rorschach: What has become of your experiment? Rorschachiana, 36, 221-241. McCarthy Woods, J. (2008). The history of the Rorschach in the United Kingdom. Rorschachiana, 29, 64-80. Meloy. J.R., Acklin, M., Gacono, C., Murray, J., and Peterson, C. (1997). Contemporary Rorschach Interpretation. Lawrence Erlbaum Associates Inc.
Meyer, Gregory J., Erdberg, Philip & Shaffer, Thomas W. (2007). Toward International Normative Reference Data for the Comprehensive System. Journal of Personality Assessment, 89, supplement 1, S201-S216. Meyer, G., Mihura, J. & Smith, B. (2005). The interclinical reliability of Rorschach interpretation in four data sets. Journal of Personality Assessment, 84(3), 296-314. Nygren, Marianne (2004). Differences in Comprehensive System Rorschach variables between groups differing in therapy suitability. Rorschachiana, 26, 110-146. Opaas, Marianne, Hartmann, Ellen, Wentzel-Larsen, Tore & Varvin, Sverre. (2016). Relationship of pretreatment Rorschach factors to symptoms, quality of life, and real-life functioning in a 3-year follow-up of traumatized refugee patients. Journal of Personality Assessment, 98, 247-260. Peden, A. (2010). Why I use the Rorschach test. Clinical Psychology Forum, 211, 35-37. Sendin, Maria C. (2010). Rorschach usefulness in treatment planning. Rorschachiana, 31, 70-89. Smith, Steven R., Bistis, Kimberley, Zahka, Nicole & Blais, Mark A. (2007). Perceptual-organisational characteristics of the Rorschach task. The Clinical Neuropsychologist, 21, 789-799. SPA Board of Trustees (2005). 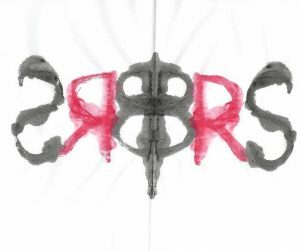 The status of the Rorschach in clinical and forensic practice: an official statement by the Board of Trustees of the Society for Personality Assessment. Journal of Personality Assessment, 85(2), 219-237. Stanfill, Michael L., Viglione, Donald J., & Resende, Ana Cristina (2013). Measuring psychological development with the Rorschach. Journal of Personality Assessment, 95, 174-186. Tibon-Czopp, Shira, & Weiner, Irving B. (2016). Rorschach Assessment of Adolescents: Theory, research and practice. Springer. Viglione, D.J., & Hilsenroth, M.J. (2001). The Rorschach: Facts, Fictions, and Future. Psychological Assessment, 13, 452-471. Weiner, I.B. (2001). Advancing the science of psychological assessment: The Rorschach Inkblot test as exemplar. Psychological Assessment, 13, 423-432. Weiner, I.B. (2003). Principles of Rorschach Interpretation. Lawrence Erlbaum Associates Inc.
Weiner, Irving B (2004). Rorschach inkblot method. In Mark E. Maruish (Ed.) The use of psychological testing for treatment planning and outcomes assessment. Mahwah, New Jersey: Lawrence Erlbaum (pp. 553-588). Weiner, Irving B. (2005). Rorschach assessment in Child Custody cases. Journal of Child Custody, 2, 99-119. Weiner, Irving B. & Meyer, Gregory J. (2009). Personality Assessment with the Rorschach Inkblot Method. In James N. Butcher (Ed. ), Oxford Handbook of Personality Assessment. Oxford: Oxford University Press (pp. 277-298).